Home » Barkworthies Bully Stick USA Thick Odor Free 50/6"
Barkworthies Odor Free American Baked Double Cut 6" Bully Sticks are more substantial than our standard bully sticks for an extra long lasting chew! 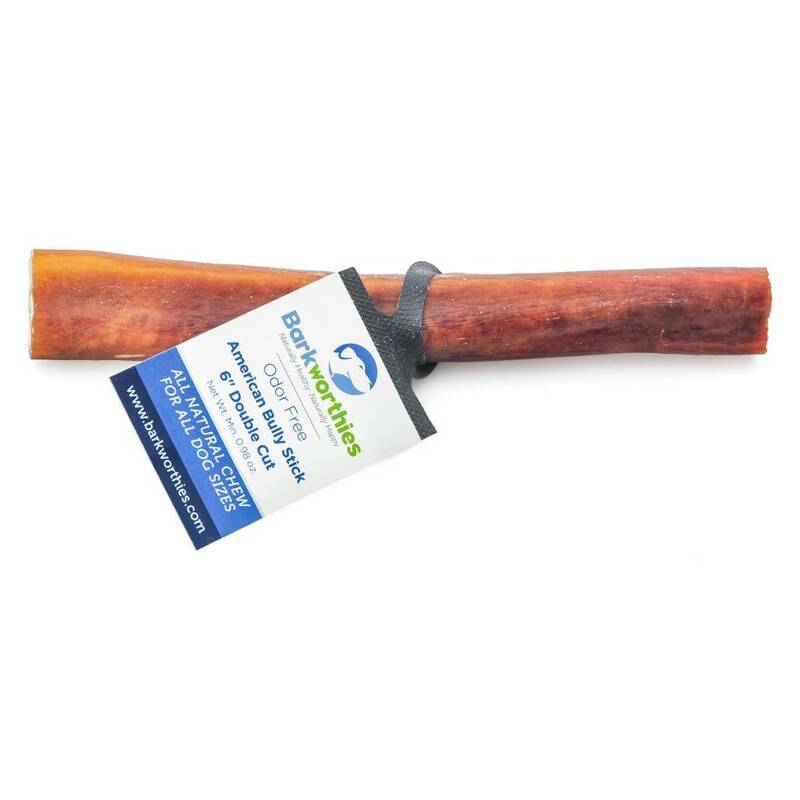 More substantial than our standard bully sticks, Barkworthies Odor Free American Baked Double Cut 6'' Bully Sticks are a great way to give your dogs a chew they're sure to love. These all-natural chews are naturally highly digestible, making them a great alternative to a traditional rawhide. Dogs love the natural flavor. You'll love the fact that these chews are baked in the USA and virtually Odor Free! Thanks to their unique shape and texture, Barkworthies Odor Free American Baked Double Cut 6'' Bully Sticks promote good dental health while helping prevent bad doggy breath.